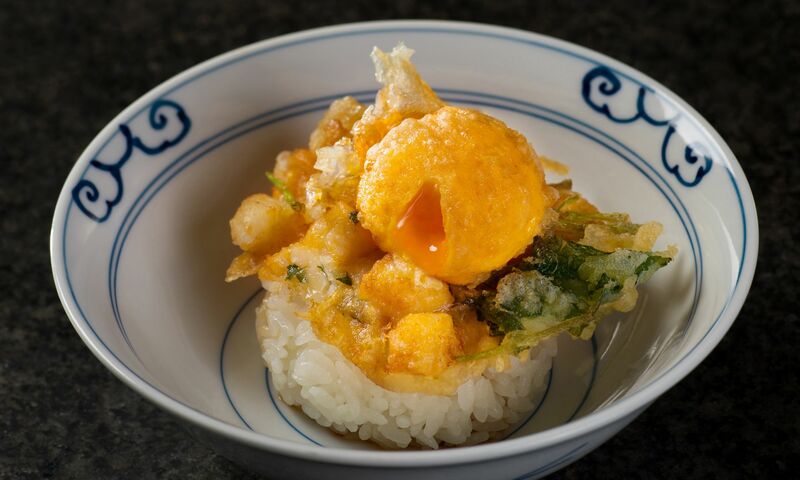 Celebrating the fine tradition of tempura and omakase, Ta-Ke’s head chef Hara Eisaku has designed a unique tempura omakase set menu that combines tradition and innovation, while keeping the essence of each golden morsel, made to order for guests one by one. Eisaku is set to present his innovative tempura dishes, each prepared in a unique cooking style or a special form of presentation, offering surprises to guests from start to finish, as he showcases his signature dishes such as charcoal-grilled Hokkaido snow crab leg tempura, among other tempura courses. Handpicked everyday at Tokyo’s Tsukiji market and delivered on the same day to Hong Kong, ingredients used in the seasonal tempura omakase are at the optimum peak of freshness and are featured and served throughout the multiple courses of the tempura omakase, from the dinner set of Matsu, priced at HK$780 per person to Ta-ke set at HK$980 per person. Guests can also enjoy a tempura lunch set at HK$480 per person.